Call Today for a Free Quote on Septic Tank Repair & More! A-1 Septic Tank Service has nearly 50 years of experience in septic service in the Charleston, SC area. 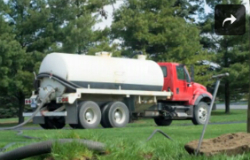 Services include septic tank pumping, grease trap service, septic tank cleaning, and more. For all of your septic tank installation and service needs in the Moncks Corner area, choose A-1 Septic Tank Service. We are also licensed with the Department of Health and Environmental Control in Berkeley, Dorchester and Charleston counties, so we can better serve our South Carolina friends and neighbors. Owner and operator Harry Wilson and his family believe in personal, hands-on service that's done right the first time. Regular maintenance with A-1 Septic Tank Service will help keep both your septic tank and septic pump in top working condition! Schedule an appointment today and we will inspect your septic tank quickly and efficiently. Don't let a minor defect turn into a major fix. Call us ASAP for quality septic tank repair! Installing septic tank systems is second nature to our crew. We’ve truly seen and done it all in our five decades of service! If your residential or commercial septic tank needs pumping, cleaning, service, or replacing, trust our team to handle the work. Experimental systems – We installed the first experimental system in this area. In business for nearly 50 years, A-1 Septic Tank Service has offered the highest quality of septic tank pumping services for customers in Charleston, SC and the surrounding communities. We offer affordable service contracts so you do not have to worry about the damage from not performing the necessary maintenance on your septic tank or septic pump. Do you need your septic tank certified for bank lending purposes or county escrow requirements? Call us today, and let us take care of those certifications for you. A septic tank for a family of four has to be pumped every three to four years so that it won't damage the leach field. Instead of waiting for the sewage to back up onto your front lawn, keep your septic tank in check with help from A-1. The best thing you can do is call on us to perform routine maintenance, helping you to avoid a costly and uncomfortable situation. Residential septic tanks come in various sizes, depending on the number of bathrooms and people living in your home. We can provide you with all the information and services you need, whether you’re choosing a new tank or looking for the proper treatment to keep it running. If you own a restaurant, you know how important finding a good grease trap service is. With A-1, we offer maintenance contracts for service every month or every six months to keep your system working properly. We’re quick and efficient, sure not to interrupt your business. 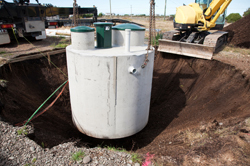 We can install septic tanks of all sizes, sure to accommodate your employees, guests, customers, and more. It is suggested that you have scheduled preventive septic service and maintenance done to your tank. This preventive maintenance includes septic tank pumping every three to four years. By doing this, the solids in the tank are removed. 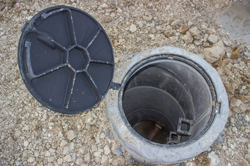 If these solids are not removed, they eventually leach out into the drain field resulting in a failed septic system. When this occurs, the cost of the septic pump repair is significantly higher. Call Today for Superior Septic Tank Repair & Grease Trap Service! Choose A-1 for your septic service, including maintenance and installation. We are the most trusted company throughout the Charleston, SC area, specializing in septic tank pumping and repair. Choose an affordable and reliable company for your needs and call today. Grease Trap Pumping and Maintenance.